Genetic Programming (GP) has long been applied to several SBSE problems. Recently there has been much interest in using GP and its variants to solve demanding problems in which the code evolved by GP is intended for deployment. 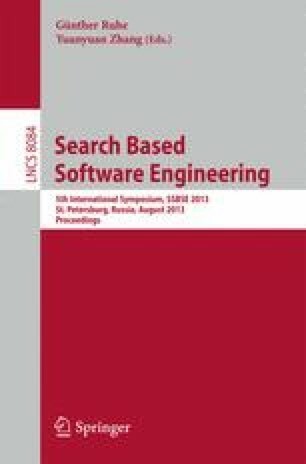 This paper investigates the application of genetic improvement to a challenging problem of improving a well-studied system: a Boolean satisfiability (SAT) solver called MiniSAT. Many programmers have tried to make this very popular solver even faster and a separate SAT competition track has been created to facilitate this goal. Thus genetically improving MiniSAT poses a great challenge. Moreover, due to a wide range of applications of SAT solving technologies any improvement could have a great impact. Our initial results show that there is some room for improvement. However, a significantly more efficient version of MiniSAT is yet to be discovered.